I have mixed feelings about even trying to write something today. Andy Ihnatko did it far better than I will. Ted Landau did it far better than I will. John Siracusa did it far better than I will. I cried today. I’m crying now. I’m crying over the death of a ‘celebrity’ I’ve never met. I’ve only done that once before when John Lennon died. I’ll do it, I think, only once more when Harlan Ellison passes which, I hope it won’t be for a long, long time. I’m crying because somebody who mattered is gone. Somebody whose work has profoundly changed my life is gone. Somebody whose values helped shape my own is gone. I’m crying because the world is a lesser place without him. In truth, it’d probably have gone fine. I’d have just said “Thank you” or some such and it would have been over in a blink. My point in declining wasn’t fear of meeting a celebrity. I’ve met lots. My point in declining wasn’t a real fear it could damage my business relationship with Apple. I’ve had amazing good luck on that front. My point in declining was not to abuse the largesse of my friends making the offer. *They* had more important things to ask of Steve than taking a moment to help them play ‘good host’ for me. I’m not crying right now out of some childish hero worship. 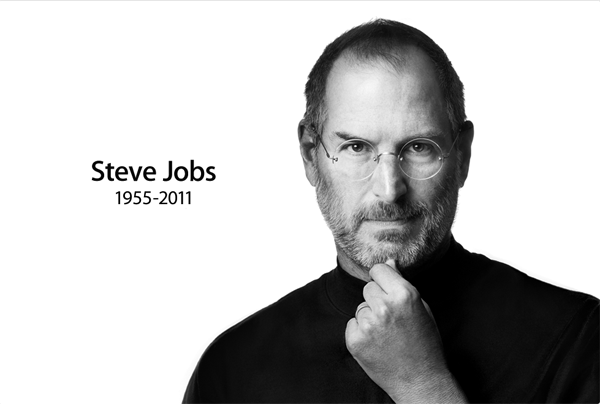 I’m crying because the world, my friends at Apple, and I have lost a man who made a difference because of his talent, dedication and courage. I’m crying because there are too few like him. He enabled, he set an example, he demanded, occasionally with well documented combativeness and he mattered. For all this, I admire and will miss him. Too few people care. We’re all flawed. Be strong. Keep your passion and don’t let people ‘nice’ you to death. Be courageous. Do what you know is right and remember small things matter.